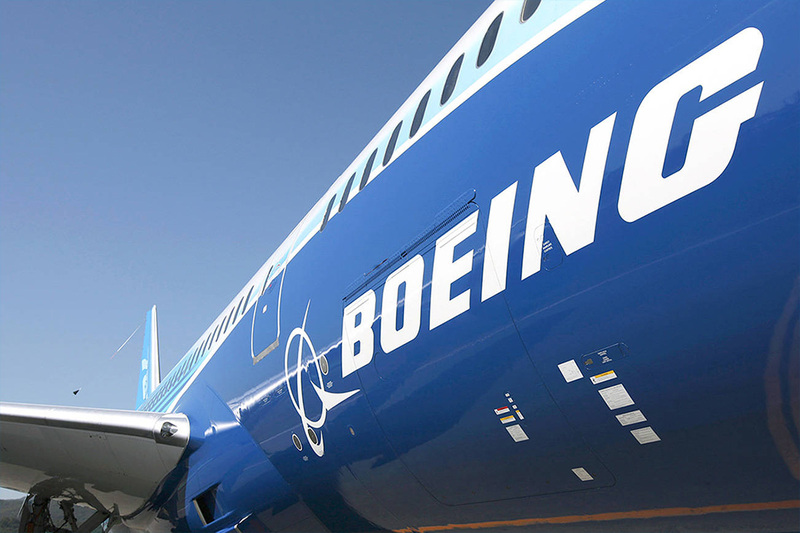 On 11 April 2019, the WTO adopted its final compliance report in the Boeing dispute, confirming that U.S. subsidies to Boeing continue to cause significant harm to Airbus, including lost sales. Today’s publication comes as a follow-up to that decision. The public consultation aims to gather feedback from stakeholders who may be affected by the planned measures. The list published today covers a range of items, from aircrafts to chemicals and agri-food products (including everything from frozen fish and citrus fruits to ketchup), that overall represent around USD20 billion of United States exports into the European Union. At an earlier stage of this dispute (in 2012), the EU made a request to the WTO to authorise the adoption of countermeasures worth up to USD12 billion, equivalent to the estimated damage caused to Airbus by the U.S. support to Boeing. Based on this request, it is however for a WTO appointed arbitrator to determine the exact appropriate level of countermeasures. The EU is taking steps towards requesting the arbitrator to resume its work. A final list, based on the products included in today’s list, will be drawn up by the EU taking into account the arbitrator’s decision in the near future. confirmed that Boeing continues to benefit from an illegal U.S. tax concession that supports exports (the Foreign Sales Corporation and Extraterritorial Income Exclusion, or FSC/ETI). This subsidy has already been qualified as prohibited, which means illegal under WTO rules. “I welcome today’s vote by the European Parliament. More defence cooperation in Europe is essential to address the growing global instabilities and cross-border threats to our security. It is clear that no country can do this alone. The endorsement of the European Defence Fund will allow us to significantly step up our defence cooperation and allow Europe to become a stronger security provider for our citizens. 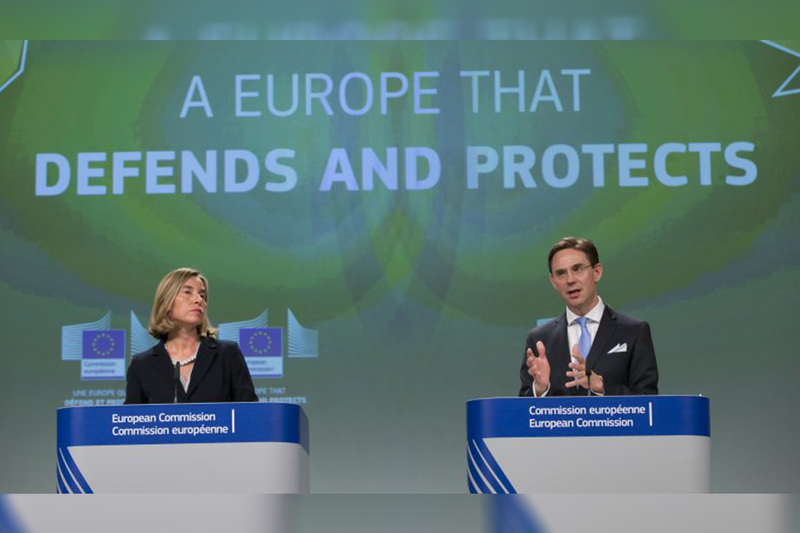 The European Defence Fund marks a big step forward in European defence matters. It will strengthen European cooperation by encouraging joint investments and technological innovation in the defence sector. This will help to spend taxpayer money more efficiently and ensure Europe can benefit from the best interoperable defence technology and equipment. By promoting a strong and innovative defence industry, the Fund will strengthen EU’s strategic autonomy and technological leadership in defence. The Fund will build on defence priorities agreed by Member States within the framework of the Common Foreign and Security Policy and ensure synergies with the Permanent European Structured Cooperation. The Commission welcomes the European Parliament’s final votes on legislation putting in place the building blocks of a Capital Markets Union (CMU). This adoption of a substantial number of proposals constitutes another step forward in the completion of the CMU, one of the Juncker Commission’s top political priorities. The Capital Markets Union project has been at the heart of this Commission’s ambition to boost growth in Europe, invest in innovation and promote the EU’s global competitiveness. With now 11 out of 13 proposals agreed, the CMU will become a true driver of investment in the Single Market, providing additional sources of financing to EU companies and opportunities for citizens to save for their future. The CMU channels investment to environmentally-friendly projects, thereby contributing to the EU’s sustainable and carbon-neutral agenda. A strong CMU is also necessary to complement the Banking Union in order to strengthen the Economic and Monetary Union and the international role of the euro. Collective Investment Funds: By removing regulatory barriers for investment funds and diverging national rules, this proposal will increase competition and facilitate intra-EU distribution of investment funds, will giving investors more choice, better value and greater protection. European Supervisory Authorities (ESAs) review: This review will make the European system of financial supervision more effective and efficient. Among many objectives, the reform will also guarantee that supervision of money laundering risks in the financial sector is pro-active and fast. It will ensure that rules are evenly enforced throughout the EU and give the European Banking Authority (EBA) a coordination role in the areas of anti-money laundering and terrorist financing. Investment firms review:This revised legislation will ensure more proportionate rules and better supervision for all investment firms on capital, liquidity and other risk management requirements, while ensuring a level-playing field between large and systemic financial institutions. It will also strengthen and clarify equivalence rules for the provision of investment services by third country firms. Covered bonds: This legislation will foster the development of financial instruments issued by banks to fund the economy across the EU, thanks to a harmonised EU framework. Small and medium-sized enterprises (SMEs) growth markets: The rules adopted will make it cheaper and simpler for SMEs to access public markets including through a category of trading venues dedicated to small issuers. Disclosure requirements on sustainable investments: As part of the Action Plan on Sustainable Finance, these rules will strengthen and improve the disclosure of “green” information by manufacturers of financial products and financial advisors towards end-investors. European market infrastructure regulation (EMIR) 2.2: This legislation will ensure a more robust and effective supervision of central counterparties (CCPs) offering services to the EU. Ultimately, this will contribute to preserving financial stability in the EU. 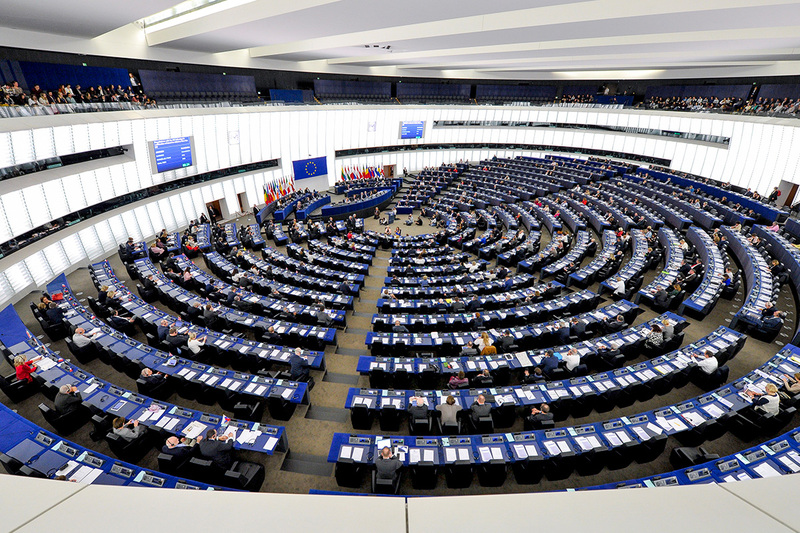 The European Commission welcomes today’s vote in the European Parliament on InvestEU, the programme to boost investment in Europe in the next long-term EU budget. This vote brings InvestEU one step closer to its creation. InvestEU will make EU funding for investment projects simpler to access and more effective. Building on the success of the Juncker Plan, it will bring together under one roof and with a single brand the European Fund for Strategic Investments and 13 other EU financial instruments currently supporting investment in the EU. InvestEU will keep the Juncker Plan’s innovative approach to investment, by using limited amounts of public resources with an EU budget guarantee to leverage substantial private and public funds. The €38 billion guarantee will target investments in four main areas: sustainable infrastructure; research, innovation and digitisation; small and medium businesses and social investment and skills. It should trigger at least €650 billion in additional investment in Europe. Similarly to the Juncker Plan, the InvestEU Fund will be accompanied by the InvestEU Advisory Hub – tailored support to project promoters – and the InvestEU Portal – an easily accessible pipeline of mature projects for potential investors. Also like in the Juncker Plan, InvestEU will be a part of the Commission’s economic policy mix of investment, structural reforms and fiscal responsibility, to ensure Europe remains an attractive place for businesses to settle and thrive. InvestEU is a partnership with the European Investment Bank Group (EIB), the EU Bank, and will be open to other implementing partners as well. 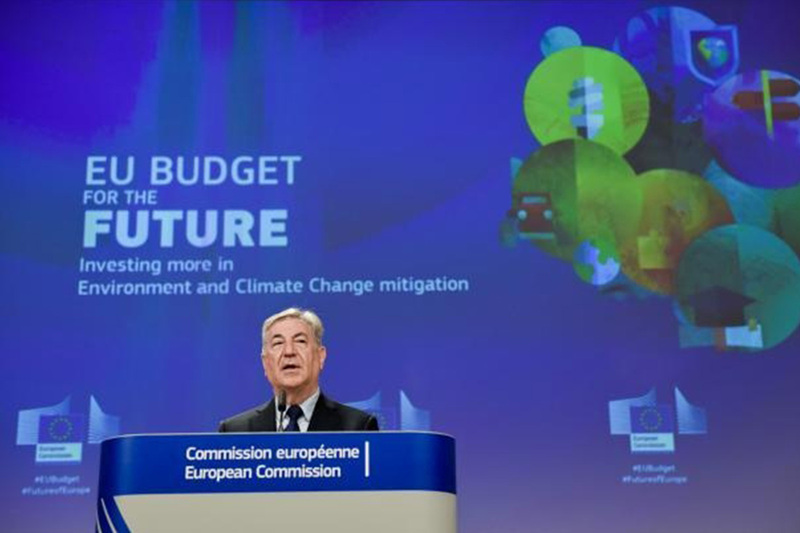 The budgetary aspects of InvestEU are still subject to the overall agreement on the next long-term EU budget, which the Commission proposed in May 2018. Latest figures from the European Investment Bank, the Commission’s strategic partner on the Juncker Plan, show that by April 2019, the European Fund for Strategic Investments (EFSI) had mobilised almost €393 billion of investments. Operations approved under EFSI so far represent a total financing volume of €72.8 billion in all 28 Member States. The EIB has approved 524 infrastructure projects supported by EFSI for €53.8 billion, while the European Investment Fund has approved 554 financing agreements for small and medium businesses worth €19 billion, which should benefit 945,000 companies.